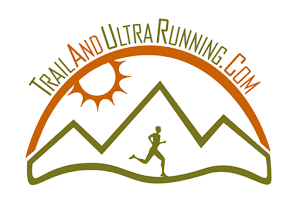 Mon: 33 mi; 9,000' gain; El Dorado Canyon & Walker Ranch: In celebration of my 35th birthday, I set out into the hills with some buddies for a sunrise to sunset jog. S. Boulder, El Dorado Springs, then Walker Ranch. The "Experment", Jeremy, had bad IT issues and we had to slow down to work on his legs. After this, we then had another stroke of bad luck and got lost in the area west of the foothills. What was intended to be a 37 mile trek was cut short a little bit. Jeremy wasn't pressed for time so, into the dark he went and summited Bear and S. Boulder Peak anyway....he got 12,000' but I had to settle for the 9k. Thurs: Slept in...stayed home. 3" of snow outside and increasing by the hour. Temperatures are 35 degrees colder today than yesterday. Tomorrow should be fun...time to see what kind of winter this will be. Fri: 9 mi; 1,500' vertical; Mesa Trail/Doudy Draw. We had about 4" of snow fall the night before. At 11am, I was the first to be on the trail, so I got the added training benefit of pushing through all of it. Using a heart rate monitor again this year, I was able to see that running in snow slows you down AND raises your effort level. Nice! It's like soft sand at the beach...really difficult to run through. For ice and/or snow running, I use a thin running sock with a goretex waterproof sock, then I wear regular road running shoes and the microspikes on the bottom. It works well, and I use the waterproof socks in wet/muddy conditions too. I found them at REI a few years ago. Sat: 8 mi; El Dorado Canyon. Sherpa John put a downhill course together and invited me the week prior...of course, we didn't realize a big storm was coming in. So, he wasn't willing to cancel and I never flake out on people, so we met at 9am and tried our best to run the course as designed. Once again, very difficult to run in these conditions...I brought snow shoes and used them on and off. There was more than a foot of snow in sections of this run and it took longer than we expected. At some point, it became obvious we should use the road...at least a little bit. Sun: 8 mi; Dry Creek Trail; Slept in...6" of snow on the ground. Eventually did a hasty rig on a plastic sled, sprayed the bottom with canola oil and dragged my 5 year old into the snow. He loved it! Well, he lasted for a little bit. We turned around and I headed back out as the sun set and the bitter cold rolled in. Called it a week. ... did most of the Big Dry Creek today. I think I saw those sled tracks. ... but I did not hear those Sirens at the top of Bear.